Being both a blogger and a photographer means a bag of cameras for blogging and vlogging. I carry them everyday because you'll never know what's worth documenting. With that said, I'm very picky when it comes to camera bags. Sure, there are a lot of reliable brands to protect your gear but I've never seen anything that fit my style. I want something that's on the go for fashion and functionality. 📷 I've been dreaming for a camera bag for a long time now especially when I got my Canon G7x Mark II. I didn't like the idea of having two separate bags for each gear because it feels like an extra weight to carry. Hello, I'm only 4'11. Which is why Jo Totes won my heart and I was so happy when I was given a chance to collaborate with them. ❤️ Jo Totes bags are handcrafted with top quality materials and leather with the highest grade metals and buckle. It also comes with a one-year warranty. It's perfect — not too small, not too big, and stylish. The bags are designed with paddings on the side to protect your equipment. Also, there are velcro pads to allow you to adjust the fitting based on your gear. I can pack my SLR with lens, an extra lens, my Powershot + charges in one bag. Isn't that convenient? Aside from just being a camera bag, because of its velcro paddings, I can also use my Jo Totes as a normal day to day stylish bag. It definitely passes for ootd. I put my journal, wallet, make-up kit, and Powershot when I don't have any shoot scheduled. You don't have to worry about it getting too heavy as it comes with a padded trap and secured metal buckles. Carry it your way — crisscross or shoulder; it feels very light. I've got so many compliments regarding the color but I'm telling you, this is not the only design they have. I specifically got the Siena collection as it allows me to style it too. If you are a big backpack fan, I'd say their best style is Bellbrook. 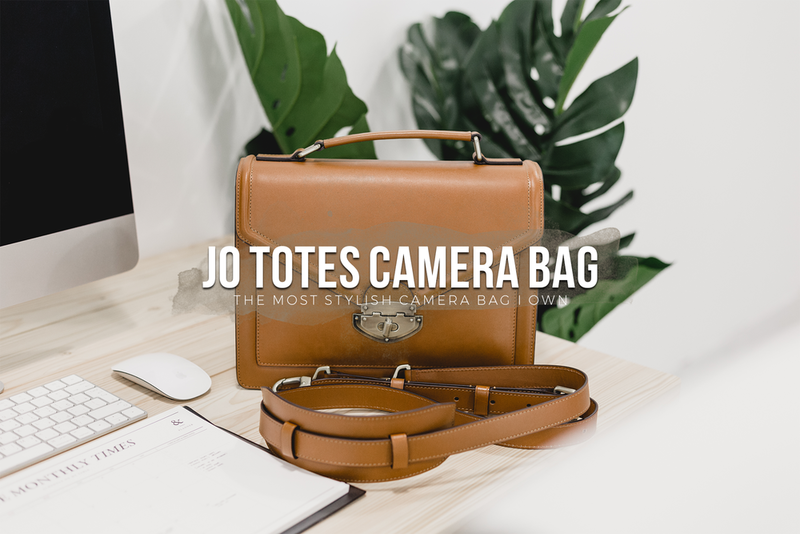 If you are still looking for the perfect bag for your babies, you better check out Jo Totes now! I'm definitely eyeing Missy Black next because one is not enough. Stay tuned on my next blog as I will be showing you how I styled my Siena Jo Totes where I used it as a normal shoulder bag. I hope you guys liked this post and convinced you somehow to consider getting your own Jo Totes! Do you currently own a camera bag? If not, what are you looking for? style? functionality? If yes, what is it? I want to hear from you! WHY DID I TAKE A BREAK ON INSTAGRAM?